Following its official announcement in April, prospective homebuyers can now register online for the upcoming grand opening of Transit City by CentreCourt Developments. 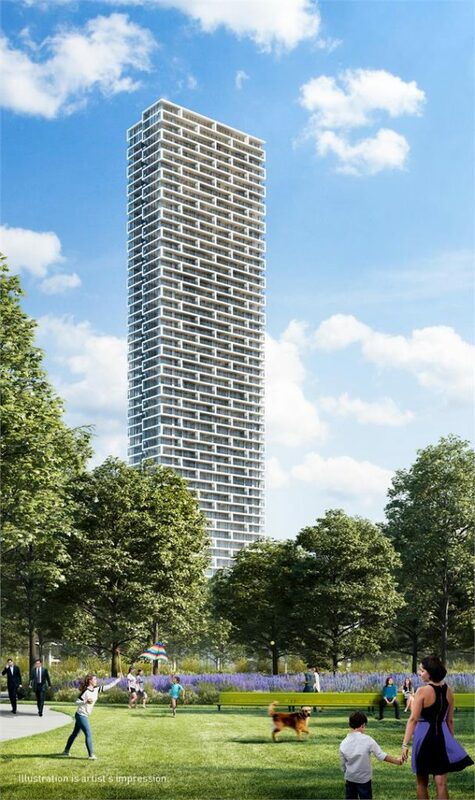 The 55-storey condominium will be the first residential tower to be built in the highly anticipated Vaughan Metropolitan Centre at Highway 7 and Jane Street. 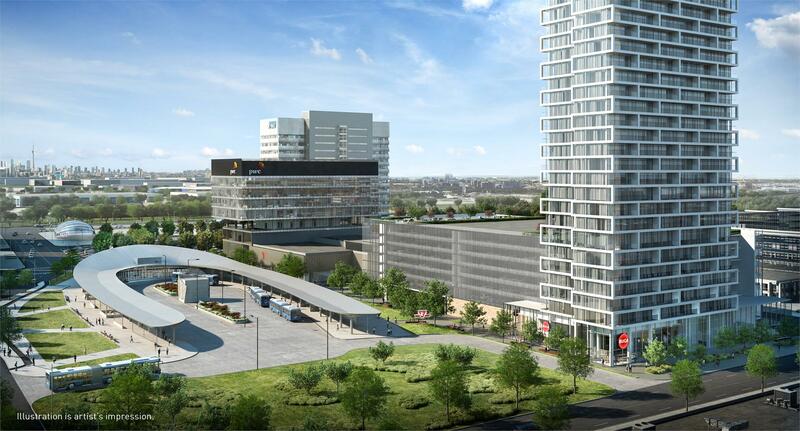 Known as one of the most exciting and ambitious development projects in the GTA, the 100-acre complex is a joint partnership between SmartREIT and CentreCourt Developments. 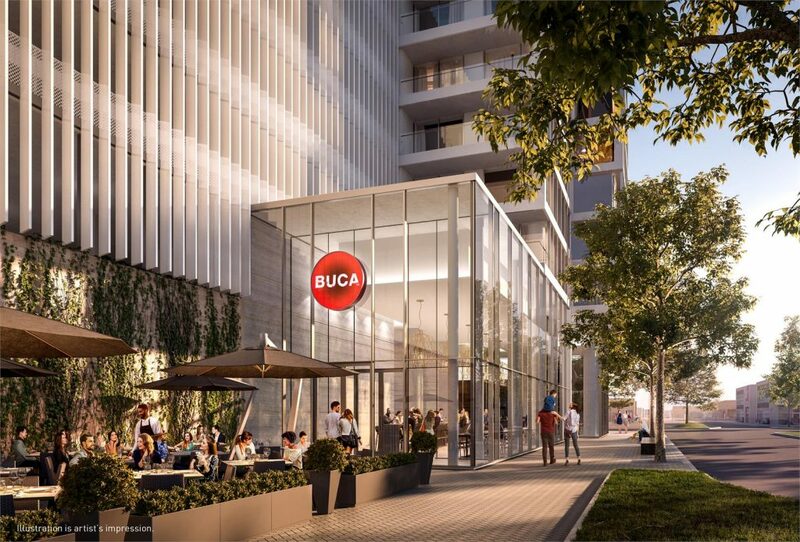 The mixed-use project will see the addition of 17 million square feet of new residential, office and retail spaces to downtown Vaughan. At the heart of the community will be a lush nine-acre park designed by award winning landscape architect Claude Cormier + Associés. The development will also be steps away from the new TTC subway station allowing for quick and easy access to downtown Toronto. At 55-storeys, the Diamond + Schmitt Architects-designed tower will be the tallest building in the York Region offering expansive views of the surrounding area and Toronto skyline. Residents will enjoy a maintenance free lifestyle inside their open concept and spacious suites designed by the renowned interior design firm Figure3. All 553 units boast nine foot smooth finished ceilings, contemporary kitchens with composite stone countertops and beautiful bathrooms with stone countertops, designer fixtures and glass showers as per plan. A complete appliance package is also included, consisting of an electric range, stacked washer/dryer and integrated refrigerator, dishwasher and microwave. 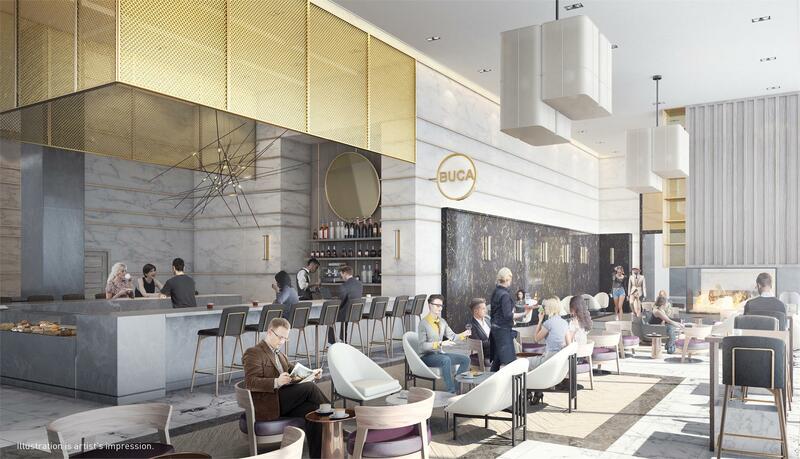 Exclusive amenities include a BUCA–branded restaurant and BAR BUCA in the hotel-inspired lobby with concierge, multi-function rooms and a membership to the adjacent 100,000-square-foot YMCA complete with with a pool, basketball courts, state-of the-art fitness facility and daycare. Located next door, residents will have convenient access to the City of Vaughan library and performing arts centre as well as expansive outdoor amenity spaces designed by Claude Cormier. To learn more about Transit City, and to be the first to hear about the upcoming grand opening, be sure to register online today! For more information call 416 869 9268 or email info@transitcity.com.